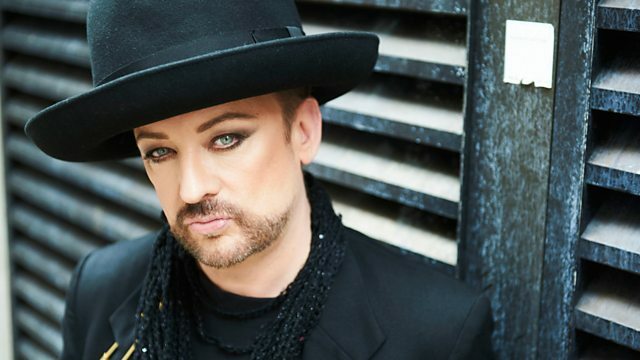 British popstar Boy George assesses how the 1970s moulded the person and artist he has become. The 1970s were his musical, social and sexual coming of age. British popstar Boy George recalls, revisits and assesses how the 1970s moulded the person and artist he has become. This is his musical, social and sexual coming of age, when he discovered the power of his own sexuality before setting about turning that persona into a popstar. Set against a backdrop of social discord, disenfranchisement and sexual repression, the 70s was also conversely the decade that revelled in colour and creative chaos, giving the world glam rock, disco and punk, and the young George O'Dowd was at the birth of them all. The documentary includes contributions from contemporaries like Martin Degville (Sigue Sigue Sputnik), Andy Polaris (Animal Nightlife), DJ Princess Julia and popstar Marilyn. Boy George says: 'I think of the 70s as being this glorious decade where I discovered who I was and discovered all these amazing things - punk rock, electro music, fashion, all of that. And yeah of course there was that dark side to the 70s, the rubbish, the strikes, the poverty, and I'd get chased and confronted for the way I looked. But I was a teenager. I didn't have any time for misery. I was just having a great time with my friends.'. Boy George on suburbia, Pauline Black with the People's History of Pop and lots more.